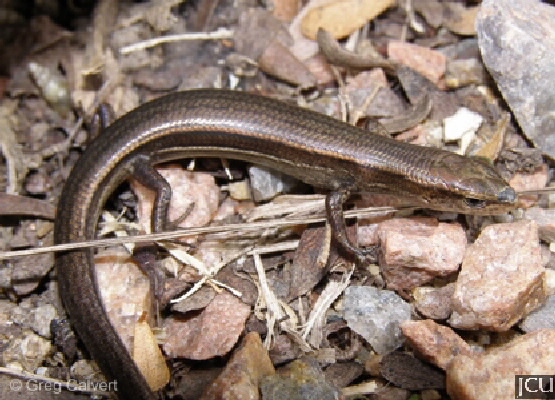 A widespread skink often seen foraging in gardens for small insects in gardens where there is moisture. They are active during the day as well as the night. The upper portion of the body is darker than the underside, and there is a often a white line present on the flank. The lower eyelid is movable.